Shannon is one of those girls who has a natural beauty about her. I think its her genuine smile and classy style. Her kind heart is contagious! I hope you enjoy her blog as much as I do, and I promise you will get some fantastic style inspiration while you are there! Oh yes please! Great giveaway ladies! Actually found this blog through Shannon's blog. Lovely! 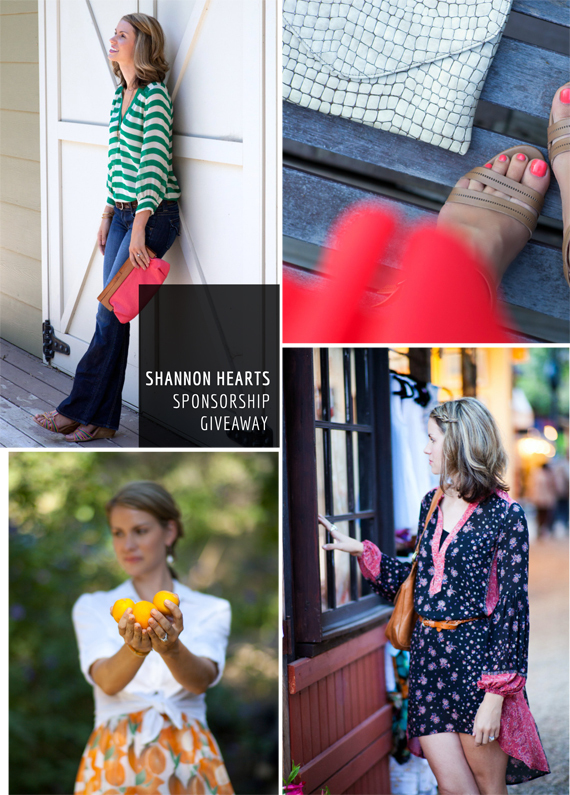 Love Shannon and her blog! Hope you're doing well, Anna! !